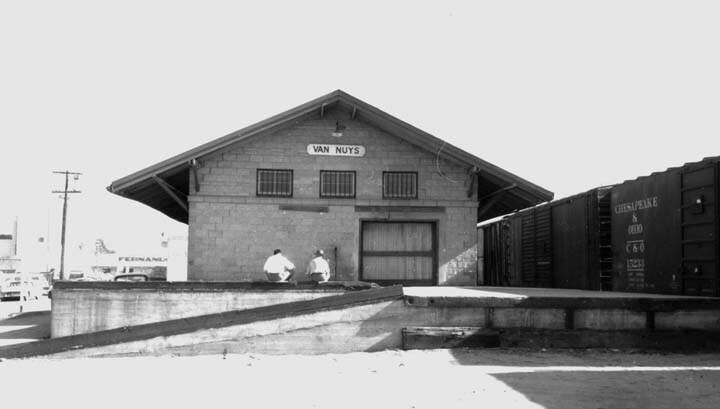 A recent photograph of an old railroad ticket and freight building in Van Nuys, once operated by the Southern Pacific, was recently posted on San Fernando Valley Relics Facebook page. That old photo, of a humble, yet sturdy, pitched roof building standing in bleached noir sunlight, got me looking. 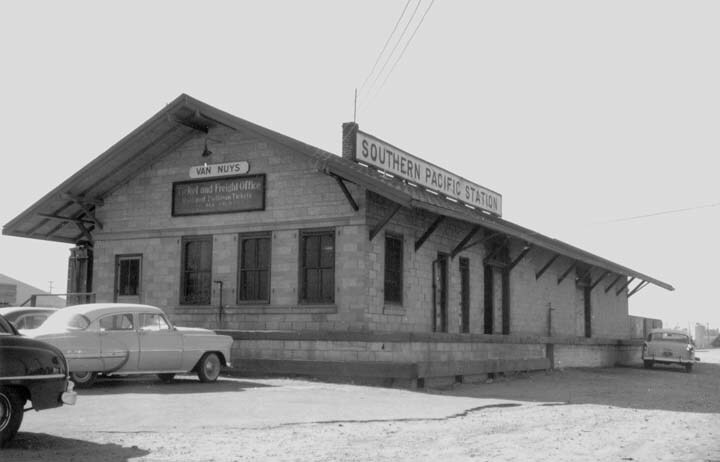 I found additional images on the Southern Pacific Railroad Structures page. Where was this located? My guess is where the current Busway is, along either Bessemer or Aetna Streets, between Kester and Van Nuys Boulevard. This building, had it survived, might have become the new home of MacLeod Brewing, a craft beer maker who is hoping to open near this location in 2014. Seeing buildings like this and thinking about the current state of Van Nuys around Valley Builder’s supply makes me wish that Van Nuys were a bit more artist-friendly. Would love to try to do something like Pehrspace or a cool gallery around here somewhere but the rent is strangely expensive. This was on north side Orange Line (the old SP right of way, just west of Van Nuys Bk–and remained through the 1970’s or 1980’s. More unusually, you can find the old Pacific Electric station from the 1920’s–moved from along VN Bl and turned into a private house, (I think it’s on Tyrone, near Vanowen–but others would know). As for McLeod Microbrewery–I’ll drink to that. Seems like it could be related to the Valley Builders Supplies building. 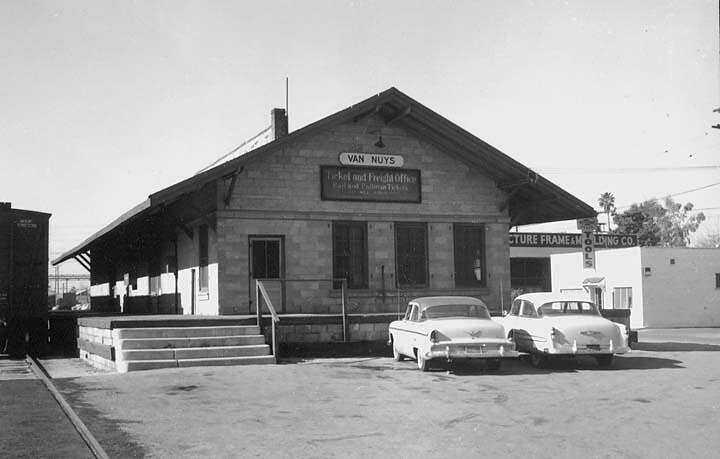 It’s not oriented correctly to the rail right-of-way or built from concrete block so perhaps it was an out-building for the station. In person the building stands out as being older than the surrounding structures and the sign on the roof certainly looks similar.